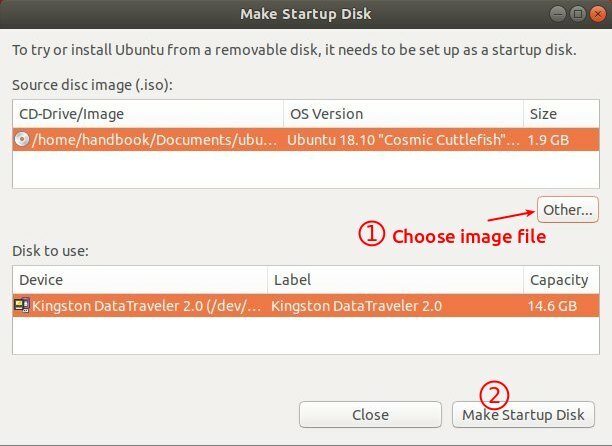 To do a fresh Ubuntu install, I’m always first burning the ISO image into USB drive, and then boot up with the USB drive and install Ubuntu into hard disk. 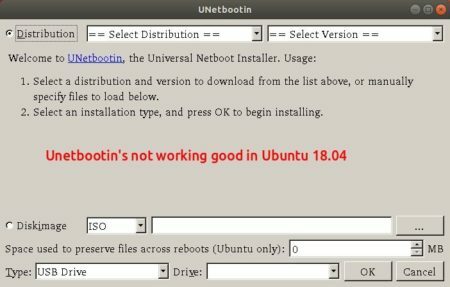 I used to use Unetbootin to create the startup USB drive. However, it has been dropped from Ubuntu repositories since Ubuntu 18.04 LTS. And Unetbootin .bin package is not well burning the ISO image in my case. 1. First download Ubuntu iso from releases.ubuntu.com, and plug-in your USB drive. 3. When it opens, click the Other button and choose the downloaded ISO image. Finally click the Make Startup Disk button to start burning the ISO into selected USB drive. That’s it! 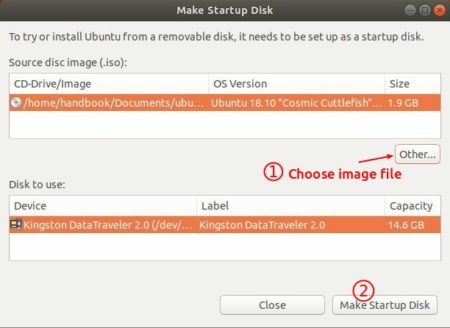 When everything’s done, boot the USB drive in your machine and try or install Ubuntu. Startup Disc Creator will not let me select an iso. Any iso. Ubuntu, OpenIndiana, OpendBSD, Alpine.